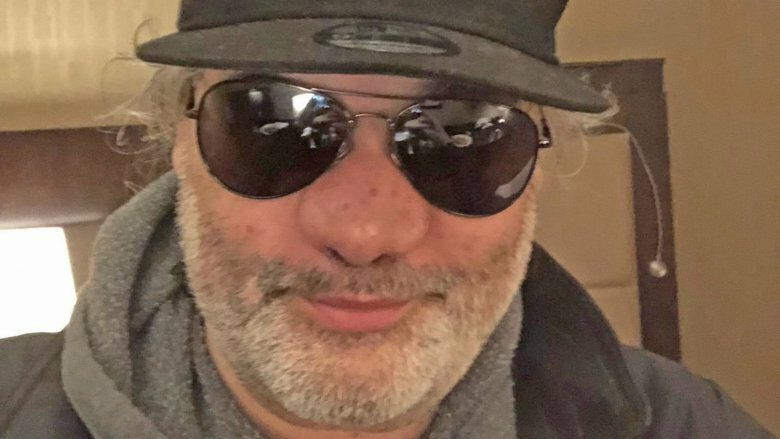 Artie Lange's battle with addiction has been so severe that he admitted he didn't think he'd live to be 50 years old. 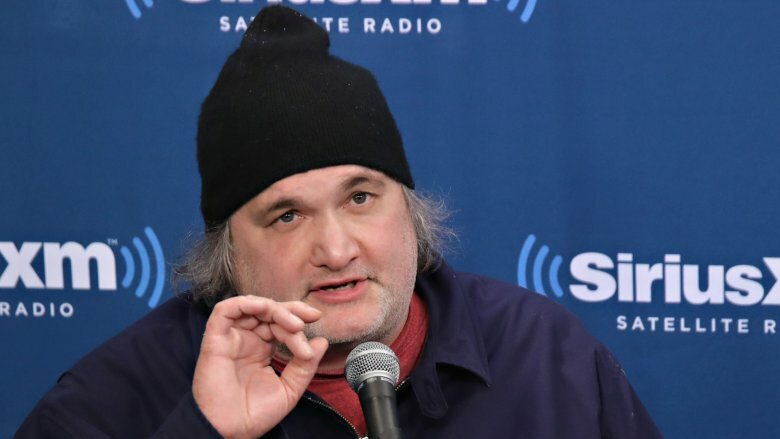 The comedian, actor, and radio personality has struggled with various forms of substance abuse with drugs like heroin and cocaine for decades. 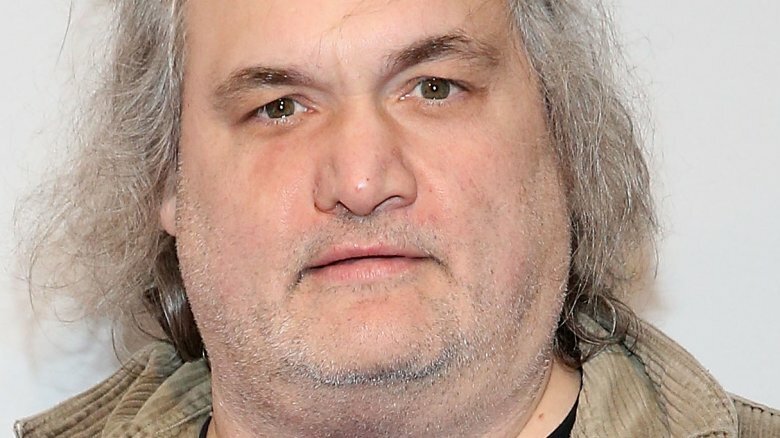 The former Mad TV star and Howard Stern Show co-host has lost work and had numerous mental and physical health scares as a result of his inability to escape his demons — not to mention many court appearances regarding legal troubles stemming from his use of illegal drugs. In January 2018, Lange told The Daily Beast that the longest he'd been sober since he was 15 years old was 11 months, noting that he'd also had two weeks of sobriety in his 20s. He's opened up about occasionally having longer spurts, which he confessed were while he was in lockdown at rehab or behind bars — and that it was much harder to stay clean when he was out on his own. For all of Lange's battles, one with which he doesn't struggle is the truth: He's remarkably candid and honest about his addictions and the tolls they've taken on his life. Of everything Lange has struggled with and overcome, heroin is the demon he feels the most remorse about letting into his life. Lange's struggle with heroin began on the road as a touring comedian in the 1990s, which he recalled with regret during a special episode of Crashing. Producer Judd Apatow and creator Pete Holmes told Vulture that Lange lamented to them that if he could take back the first time he tried the opiate, he would. He reiterated those sentiments in Wanna Bet? A Degenerate Gambler's Guide to Living on the Edge, writing (via Radar Online), "Some risks, like skipping college to chase my dream — I'd never tell anyone not to do that. Others, like trying heroin, a drug I romanticized for years, I'd do anything to keep someone from following in my footsteps." He added, "Out of all my life's risks, that is the only one I wish I could take back." Lange, who has openly said heroin feels "amazing," wrote, "You can stop snorting blow if you want to, you can stop smoking weed, but heroin and opiates of any kind become a part of you. They become your oxygen." Lange told The Daily Beast that he's never overdosed and that he doesn't even fear the dangerous drug fentanyl because he wants "strong s***" to get him high after years of building a tolerance to extremely dangerous drugs. 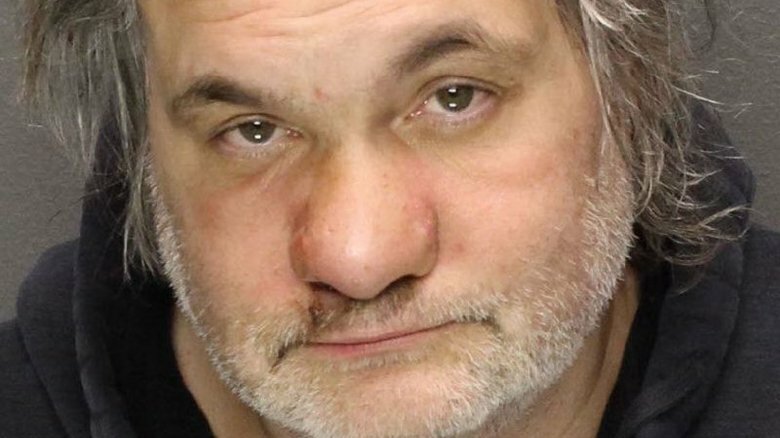 Artie Lange used to look like your average guy, which was part of his charm and what made him work in his roles in 1998 cult classic Dirty Work and TV series The Norm Show. But he doesn't look like that anymore. 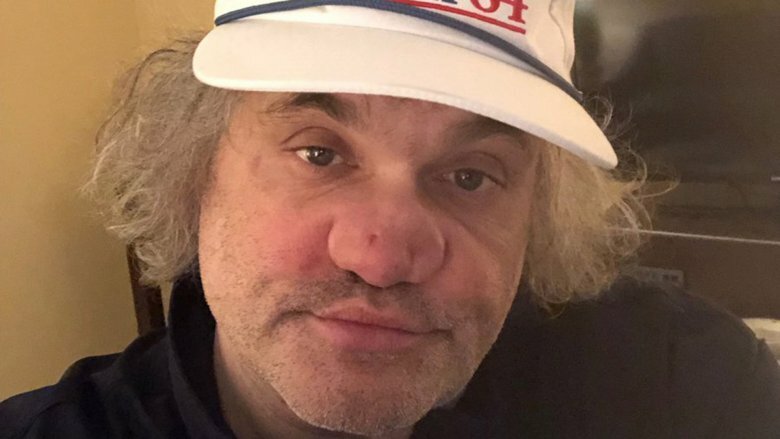 The comedian is nearly unrecognizable from his former self because his nose has been completely deformed after 30 years of cocaine use. He posted a selfie featuring his unfortunate new look on Christmas in 2018, saying he was imitating the way actress Sophie Marceau had looked at him in a makeup trailer when they filmed 1999's Lost & Found together. "This is it but I believe her nose had a septum and had not been hideously deformed due to over 3 decades of drug abuse," he wrote. Though he previously described cocaine as being easier to quit than heroin, Lange confessed in December 2018 that his struggle with cocaine use was ongoing. 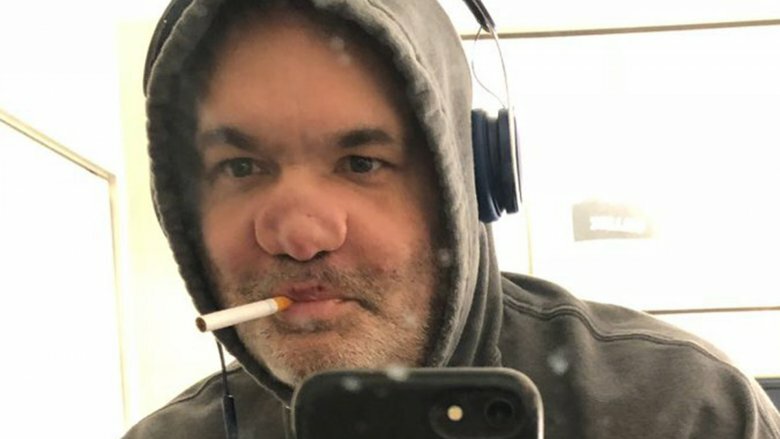 Cocaine wasn't the only factor in Artie Lange's deformed nose. He snorted something else that really messed up his septum for good: glass. In his book Wanna Bet? A Degenerate Gambler's Guide to Living on the Edge, Lange detailed how he planned on snorting OxyContin with a former fling from Boston. The woman tried using a glass salt shaker to crush the pill while Lange was in the shower, but ended up breaking the salt shaker. She soon left the room, during which time Lange entered. Small shards of glass remained in the lines of OxyContin, unbeknownst to Lange. He snorted them along with the drug and some salt. He later underwent surgery to try to repair some of the damage (via NJ.com), but he said that may have actually made matters worse. Lange claimed in 2017, "[The doctor] ruined it. So now my nose is permanently attached to this side of my nostril … and when I blow my nose it bleeds." Heroin has gotten Lange into serious legal trouble. In March 2017, Lange was arrested for possession of cocaine and heroin in Hoboken, N.J., but TMZ reported the charges were later reduced. That June, a bench warrant was issued for Lange's arrest for missing a court date in the case. He missed another court date in December 2017 and was arrested. That same month, he pleaded guilty to heroin possession related to a May arrest and was taken to an inpatient rehab facility. In June 2018, Lange was sentenced to four years of probation, 50 hours of community service (which he served performing in a senior center), and outpatient rehabilitation stemming from his heroin possession charge. Six months later, Lange tweeted that he was 41 days clean from heroin but tested positive for cocaine. "If I fail now I will go to jail," he wrote. "Jail is not for addicts. But I'd be giving them no choice. When I use illegal drugs I have to score them. That's breaking the law." In his book Wanna Bet? 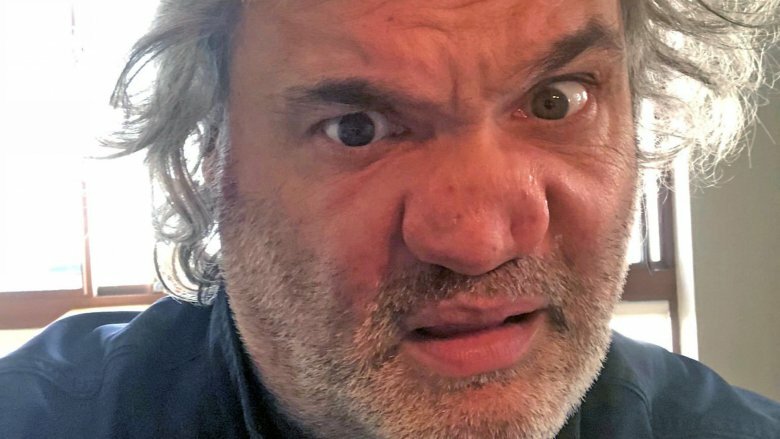 A Degenerate Gambler's Guide to Living on the Edge, Artie Lange described performing live while going through heroin withdrawal. Spoiler alert: It's really not pretty, so maybe skip this section if you're squeamish. Lange recalled a particular standup set that he'd performed in Orlando, Fla. He was half an hour into his contracted hour-long set when he began to suffer symptoms from heroin withdrawal. After sweating profusely, Lange realized he was going to have "uncontrollable diarrhea," which he experienced as soon as he stepped off stage. He had to send his assistant to find him new pants, which, as he wrote, became a regular occurrence. Lange explained to The Daily Beast, "Withdrawal, the physical stuff, people would see the first or the second day of withdrawals, girlfriends would say, 'Well, that was really bad.' And I'm like, 'You saw the opening act. That was The Clash. That was David Johansen. The Who is about to take the stage.' The third or fourth day of heroin withdrawal, if you're a big user like I became, if you're not physically stopped from getting dope, you'll get it." 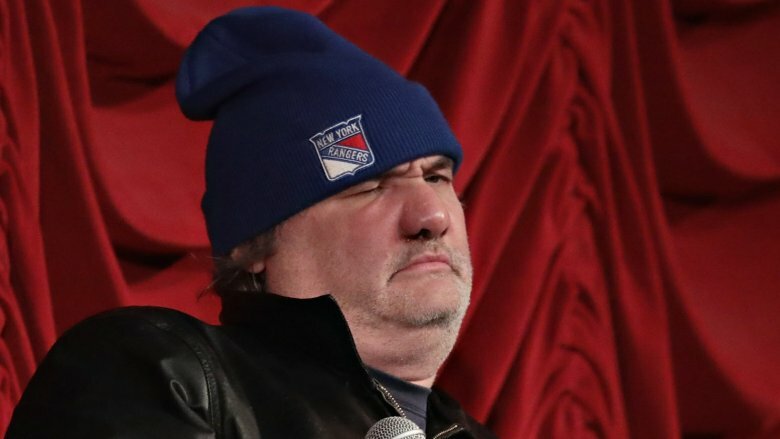 In January 2010, Artie Lange's demons grew too large for him to bear anymore and he almost ended his own life. The New York Daily News reported that Lange's mother found him unconscious but still breathing after he'd stabbed himself several times in the abdomen. He was hospitalized and recovered. Three years later, he told Rolling Stone that he'd also drunk bleach during the incident, but that he didn't actually want to die when he did it — though he did say he was briefly suicidal and considering jumping off of a balcony. He was simply trying to quell his heroin withdrawal. "At the time I did that, there was a part of me that just wanted to get that heroin feeling or that opiate feeling or whatever. My logic was, 'If I get bloody, I'll get queasy, and I'll go to sleep,'" he recalled. "When you're on the road a lot, you're in perpetual search of a good night's sleep. I thought it would help me get a solid eight hours." He also claimed that his mother and several friends, including comedian Colin Quinn, were actually going to his home for an intervention when his mother found him. It wasn't his first suicide attempt. He recalled in his book Too Fat to Fish (via NBCDFW) that he'd attempted to take his own life in 1995. 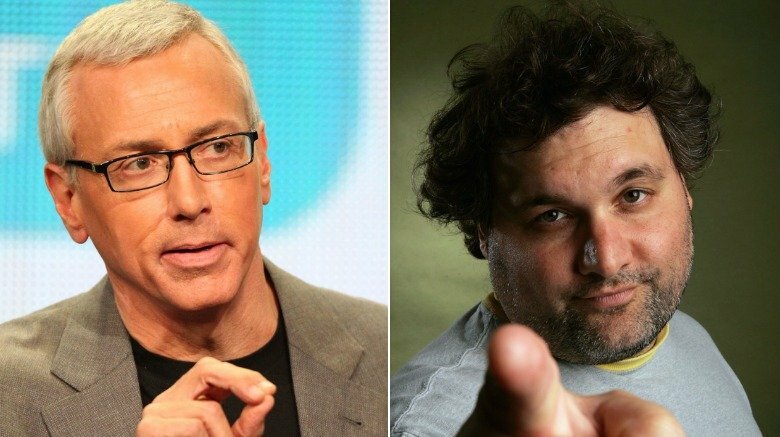 In October 2009, Artie Lange revealed that he rejected a $200,000 offer to appear on VH1's "celebreality" series Celebrity Rehab, even though he says he adores Dr. Drew Pinsky. "Dr. Drew has been very nice to me. He calls me, he's concerned about me," Lange told the New York Post. "Dr. Drew is a great, great man, but the Celebrity Rehab I have a problem with. I don't think that's helping Jeff Conaway. There's different schools of thought. And they offered me $200,000 to do it, and I said no because to me, you know, do I want to kill my mother? I just said no to a reality show. And they said it was about me getting better, but if I relapsed they're not going to air that, you know what I mean? My mother knows I've done coke but she's never seen me do it." Lange may have had a point: Dr. Drew treated Grease star Conaway, to whom Lange referred, on Celebrity Rehab in 2008. In 2011, Conaway died at 60 years old. Dr. Drew told TMZ that Conaway hadn't died from a drug overdose, but that years of prior prescription drug abuse deteriorated his body to the point that he couldn't recover. However, E! News reported that drugs were indeed found in Conaway's system, but that his death had several causes, including pneumonia and coronary artery disease. Lange has had close calls with his health over the years. In July 2017, Lange was hospitalized for a chest infection that was reportedly exacerbated by his substance abuse. "After Chicago gig I collapsed. I had emergency surgery. All the blow & H I've done for yrs blew hole in my nose & landed in my chest," he tweeted at the time. "It was infected. I was hours from checkin out. They ripped open my chest and got it all. I cheated the devil for the hundredth time." He wanted the experience to be a lesson for his younger fans not to try drugs. He explained, "You young fans. Who I love. Who say they love me. I have been in jail from here to Paris. I've got multiple knife scars. Ppl I love leave." He continued, "Now I'm laying in the hospital w tubes in a hole in my chest. They put a permanent IV line in my arm to my heart for long term antibiotics." He suffered other medical issues the same year. That September, Lange had a nosebleed on air while recording The Artie & Anthony Show. In October, TMZ reported that Lange, who's diabetic, was hospitalized for high blood sugar. In February 2018, Lange was hospitalized for high blood pressure and high blood sugar and claimed he was at risk for a stroke. He tweeted about the incident, saying, "I'm payin' for an unhealthy life." 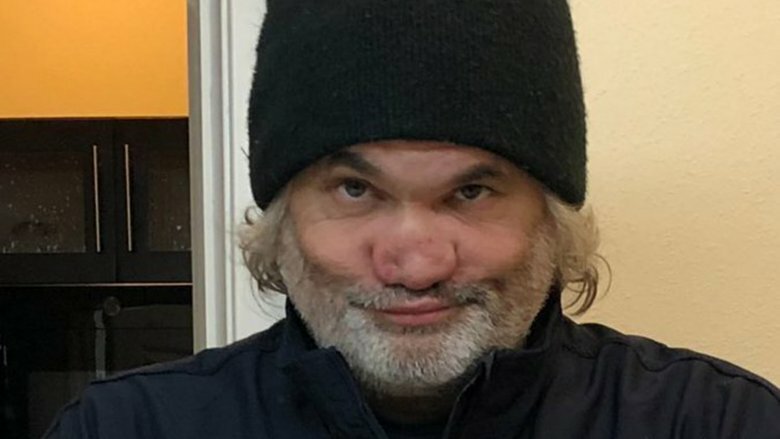 If you ask Artie Lange, doing drugs doesn't make him unprofessional — rather, according to him, withdrawal does. Aside from his infamous exit from The Howard Stern Show (read all about it here), Lange lost a lot of other work because of his addiction. "I was doing a podcast in my kitchen and I was late to my own kitchen. That's all heroin. Heroin f**ks up scheduling. When you do heroin, everything's fine because you're not in withdrawal, so you make plans for four days later," he told Page Six in July 2018. "But four days later, you're going through withdrawal and you're literally green and you can't get up." 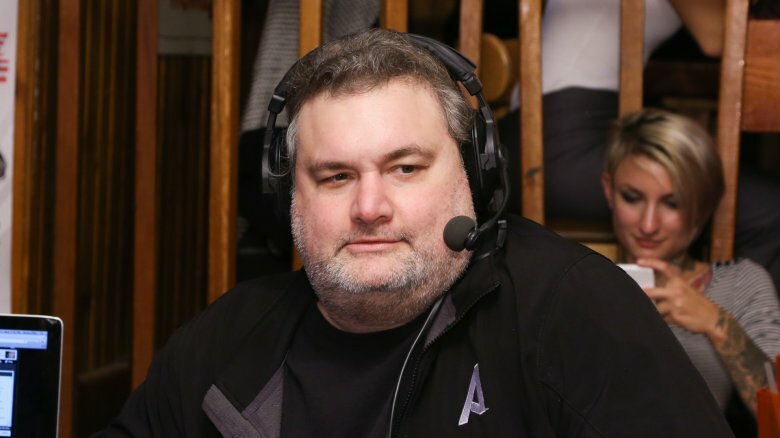 His attendance is also why The Artie & Anthony Show ended, but he hopes to go back someday. One job Lange thought he lost due to his drug use but actually didn't was his role on HBO's Crashing, in which he plays himself. He told Page Six that, because he has to change his phone number so often to avoid drug dealers contacting him, Crashing producer Judd Apatow couldn't get a hold of him for two weeks. In March 2017, Lange said in a radio interview (via The New York Times) that he'd been fired from Crashing following his arrest that month, but Apatow denied it on Twitter and Lange's rep denied it in a statement. As it turns out, he actually got a raise for the second season of the series. Lange believes his struggles with substance abuse actually stem from an underlying addiction to a different vice: gambling. In his book Wanna Bet? A Degenerate Gambler's Guide to Living on the Edge, Lange describes winning his first bet on a 1985 Miami Dolphins game. "That was the start of it for me," Lange wrote of his first $100 win, "and it won't ever end, but I've come to terms with that." Since then, Lange's gambling has gotten him into all sorts of trouble, not just financial. He revealed in January 2019 that a gambling debt was part of why his nose is now deformed. "The reason I have this nose is, of course, the abuse. I have no septum," he said on the Are We Still Talking About This? podcast. "I also owed a bookie $62,000 … and a kid who worked for the bookie … he was collecting, and he thought I was a billionaire because he saw me on TV, and he kidnapped me. I was going to my truck, he knocked me out with one punch." Lange said the incident occurred a year earlier. "It destroyed my nose," he said. "The septum from the abuse from the years of drugs and this hit broke it, and I've had two operations, and it's just in bad shape." However, he later tweeted that he wasn't actually kidnapped, and that the altercation was "a couple hours tops." 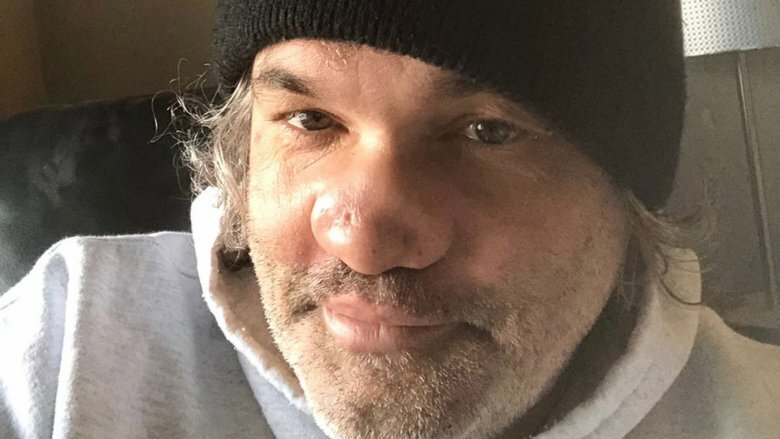 In December 2018, Artie Lange vowed to help others struggling with addiction to get the help that they need because drug rehabilitation is expensive. "I have insurance. But I've seen kids who don't who can't get help," Lange tweeted. "I've gotta give back. Starting this spring I will do 1 or 2 shows each month for as long as I live w all the money paying for one person's rehab!" He told his fans to tweet him to get onto his list of potential patients whose treatment he'd pay for, noting that treatment is typically about $30,000 for a month of rehab and detoxing. Lange gave the cause the name The Survive the Party With Artie Fund. Lange's charitable performances may not be for a while, however, as Radar Online reported in March 2019 that Lange was being treated in a halfway house on court orders. That April, the site reported that he was being treated in an "intense" six-month program. A source close to the comic told Radar Online, "This program is going to force him to get clean," adding, "He has no choice. This is possibly the best thing that could've happened to him." Lange's also hard at work on his community service obligations for his drug court case, as proven by Lange's comedian pal Russ Meneve, who tweeted footage of Lange collecting trash. Lange's rep also told press that he's "doing really well."